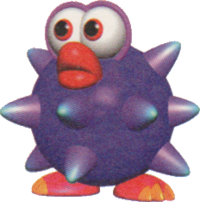 Spiked Fun Guys are purple prickly creatures in Yoshi's Story. They walk from conspicuous holes in the page's background and drop down on the ground; after a moment, they begin to roll downwards on the slope they are on, either falling off the page or rolling between two slopes until they disappear after some time. Additional Spiked Fun Guys indefinitely spawn from within the same hole, popping out at select intervals. 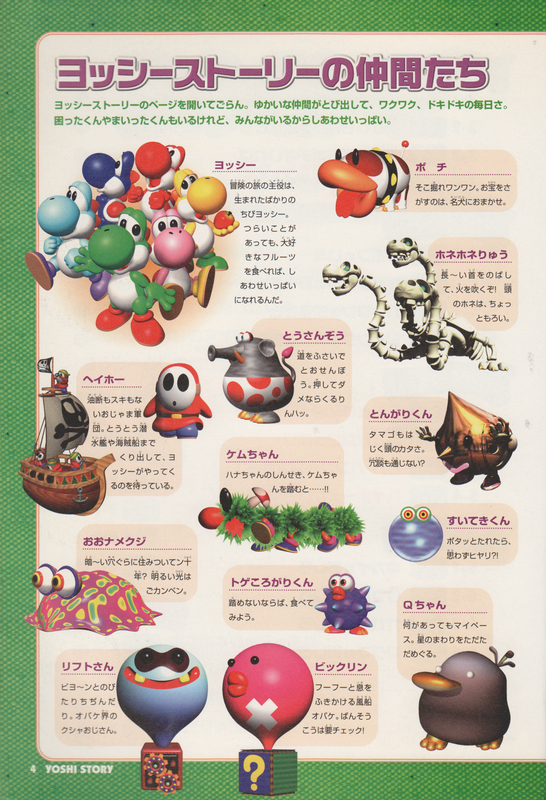 They can be swallowed and turned into eggs, and infest the sewer-themed pages of Torrential Maze and Jelly Pipe. This page was last edited on April 13, 2019, at 16:54.